A beautiful, hand-painted wall sconce, is lavishly decorated with high quality silk flowers and leaves. 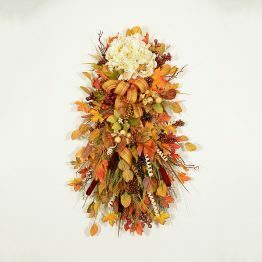 Bachelor buttons, zinnias, and freesia, in gorgeous autumn hues, are wonderfully accented by brilliant shades of eucalyptus and fall colored leaves. 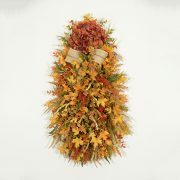 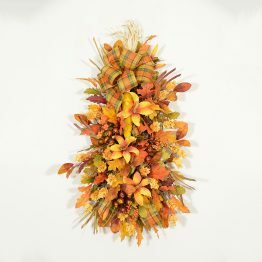 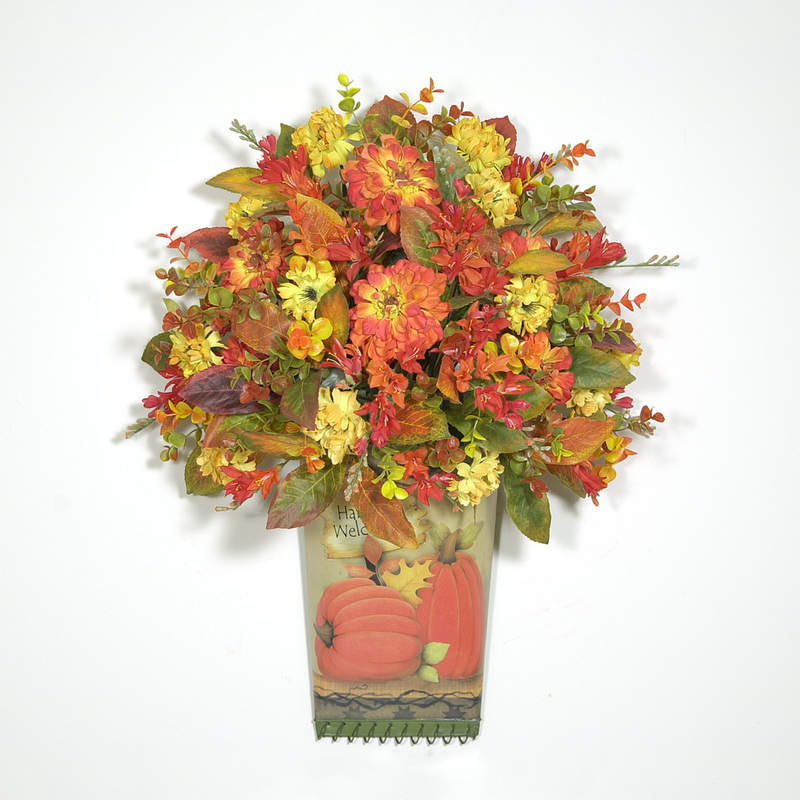 This fall swag will work well on a covered front door, or in the home.